The Internet of Things Application, more commonly called IOTA, is a new crypto technology facilitating transactions between devices on the Internet of Things (IoT). IOTA addresses the transaction fees and scalability issues of blockchain technologies because it is not blockchain. IOTA’s method of verification requires neither a central ledger nor the need for miners to power the network. Instead, in order to submit a transaction to the IOTA ledger, one must verify two other previous transactions. Because devices on the network randomly verify each other’s transactions, they build consensus through the web of connections between transactions, a type of verification known as Directed Acyclic Graph (DAG). The creators of IOTA call this feature the Tangle. Since computing power in the Tangle continues to grow as the network itself grows, IOTA promises free, fast transactions. Furthermore, since IOTA is designed to process micro-payments and payments between machines, it can help facilitate a whole machine-to-machine micro-economy. While IOTA has a lot of potential, the technology is still new and not without potential flaws. The following breakdown offers descriptions of the specific features to help better understand this startup. The Internet of Things is a major force in the world economy which is only expanding as more and more of our lives are enhanced by digital technology and the web. Companies employing digital technology have created all kinds of devices like cameras and sensors to monitor factories, shipping lanes, farms, stores, and homes. According to Gartner, the IoT grew to 8.4 billion devices in 2017. IOTA’s goal is to be the optimum platform for machine-to-machine (M2M) transactions. IOTA’s founders started the company after working in the IoT industry; they realized that in order for IoT to be most useful, networks’ devices need to share and allocate resources efficiently. Practically speaking, this means devices need to be able to purchase things like electricity, bandwidth, storage, or data when needed and sell those resources when not needed. Even a small network may have dozens of transactions per second as its devices communicate and use resources. IOTA founders believe blockchain technology is inadequate for IoT applications’ demand for so many transactions at such a small, fast scale. Blockchain networks struggle with scalability as demonstrated by Bitcoin’s SegWit2x fork debate. To include their transaction in a block sooner, they often charge increasingly high fees for miners. IOTA aims to solve both scalability and the resulting transaction fees with its new network aimed at billions of IoT devices. Since IOTA plans to have billions of transacting nodes on its network once fully implemented, it has been designed so that the processing power grows in tandem with the growth of nodes on the network in what founders have dubbed The Tangle. This consensus-building system requires the device submitting a new transaction to first verify two other transactions on the network. Per verification, the verifier performs a small proof of work linking the transactions to the Tangle. The Tangle results in consensus reached based on a web of verifications. Each transaction is linked to the two transactions it verified; over time it will, in turn, be linked to future transactions that verify it. Every new device on the network contributes its computing power to the network when it submits a transaction, thereby growing it. Because the network no longer relies on a central blockchain, scalability is achievable. The Tangle also eliminates block mining since there is no block. The limited number of coins on IOTA was created at the genesis of the network. Since you contribute computing power to the network when you submit a transaction, your only cost to use the network is the electricity needed to verify two other transactions on IOTA. The Tangle allows IOTA to operate without fees and creates a network even more distributed than with blockchain technology. With blockchain, the network is distributed among the miners on the network, whereas with Tangle, the network is distributed among every participating node on the network. The absence of fees is critical to IOTA’s goal to service IoT devices. These types of devices often transact fractions of a penny with high frequency; any fees charged on such small transactions make micropayments unfeasible. In order to serve as the backbone for the M2M economy, IOTA absolutely must be free to use. Those familiar with blockchain technology know that a blockchain is vulnerable when one party has 51% of the computing power on the network; at which point, it’s theoretically possible for a bad actor to create and verify false transactions. By comparison, IOTA’s use of the Tangle to verify its transactions means it’s theoretically vulnerable if one party controls 34% of the network’s computing power. That said, implementing a 34% attack against the IOTA Tangle is no easy task. Since the Tangle is a complicated web of nodes and transactions, one would have to discover the nest of the network before being able to leverage a 34% advantage. Early in IOTA’s implementation is the most vulnerable time for such an attack because the early network is small, with fewer nodes, so, it’s easier for an attacker to accumulate a 34% share of the network. To defend against this threat, IOTA is using a “Coordinator” during its early implementation phase. IOTA plans to eliminate the Coordinator once the network is strong enough, but, while implemented, the platform and currency are centralized. The IOTA team has received both praise and criticism for its new technologies in developing the platform. Initially, IOTA used its own hash function called Curl for all proof of work and key generation. While the proof of work hashing now uses the more traditional SHA-3 protocol, the proprietary Curl hashing function is utilized for other applications on the platform. IOTA implements trinary logic instead of binary. Using processors with three states could increase efficiency and overall computing power. IOTA is working closely with JINN Labs on hardware for IoT devices capable of computing in trinary. Several crypto technology experts have questioned IOTA’s viability as a platform. Implementing so many new technologies at once make weaknesses or flaws more likely. The technology behind IOTA simply hasn’t been tested enough to predict how it will work at scale or how it will hold up to attacks. The lack of testing and peer review is the biggest concern for IOTA’s critics. Earlier in 2017, MIT and Boston University published a scathing paper outlining critical security flaws in the Curl hashing function. The idea that you can “roll your own crypto” is strongly dismissed in the community and among experts. Good cryptography takes years to develop, test, and review, but, the SHA-3 hashing algorithm took only nine years to complete. Experts have also shown concern that IOTA’s developers chose to write their own cryptography instead of using established standards. As a result, we’ve seen a fairly unstable price for the IOTA token. Despite these concerns, every new technology goes through technical hurdles and growing pains, including Bitcoin, which experienced the Mt. Gox scandal, and Ethereum with the DAO hack. While the technology and implementation behind IOTA will certainly adapt with time, potential investors should consider the overall architecture of the IOTA cryptocurrency and the history of the development team. If successful, the Tangle could be a viable competitor to blockchain technology for transactions as the IoT demand for micro-transactions continues to grow. 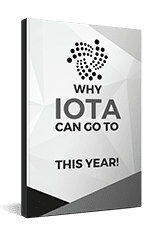 Since IOTA is cutting edge, however, its technology hasn’t been thoroughly tested; the decision to buy IOTA should be based on thorough research about the technology and its founders. IOTA’s Tangle could become a leader in cryptography, but, investing in an untested technology is inherently risky.